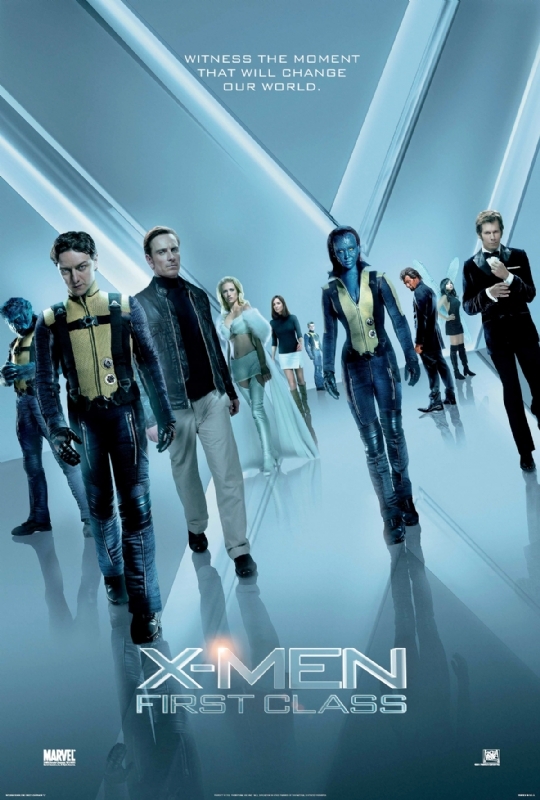 To mark the recent release of X-Men: First Class in cinemas I thought I would put together a series of posts over the next few weeks outlining some of the various techniques, tricks and tools (alliteration FTW!) that I used as dialogue editor on the film. Many of these may be well known, others perhaps less so but I want to put these ideas out there anyway – to create discussion if not to provide enlightenment. The inspiring thing about the internet is that there is always someone out there who knows more about something than you do (not just on the internet for some of us!) Consequently, by partaking in this flow of online information, it is nearly always possible to fine tune and hone even your most well-established work practices. In that spirit, I invite others to leave comments if they would like to share any alternative means – better or simply different – of achieving some of the results I’ll be describing over the next few posts on this blog. One of the reasons I want to talk a bit about dialogue editing techniques is that, unless I’m just looking in all the wrong places, it’s one aspect of post sound that doesn’t seem to get touched upon too often. Nearly everyone interested in dialogue editing must have read (or should!) Dialogue Editing for Motion Pictures: A Guide to the Invisible Art by John Purcell. This is simply because it is a great book. However, this is also because (and correct me if I’m wrong) it is pretty much the only book of it’s type out there today. I won’t attempt to give an authoritative explanation of why this is so because, to be honest, I don’t know. Sound design is obviously seen as the more exciting aspect of post sound, but nevertheless I feel that dialogue editing is going through a really interesting evolution at the moment, brought about by the constant improvements in new technologies. Some of my posts will be quite detailed explanations of processes I use (perhaps using video if I get time to get it organized) and others will simply be software recommendations. Keep an eye out for them over the next couple of weeks and, as I’ve mentioned, feel free to join in the discussion. Looking forward to this Michael! I think dialogue is one of the trickiest things to edit as it is the most important part of the soundtrack and is immensely satisfying when one has cut something together that works seamlessly. Thanks Ian – hope it’s not a disappointment after that! Totally agree with you about the satisfaction of dialogue editing.